IN a world already full of road hogs this is perhaps the last thing you want to see in the rear view mirror. 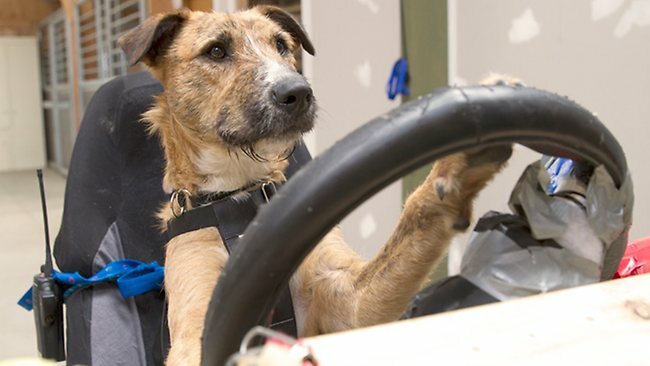 Animal experts are teaching dogs how to drive. 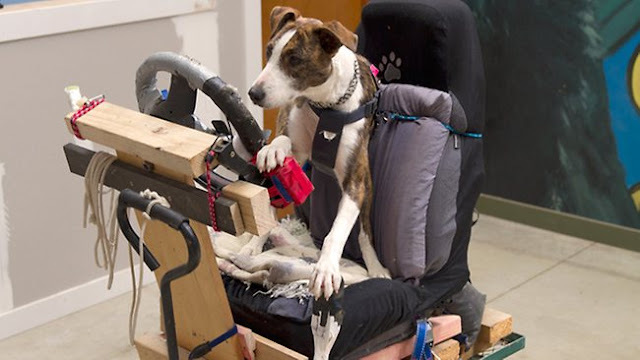 Astonishingly, it took three mutts just eight weeks to master the basics in wooden carts. They then graduated to a modified Mini in which they sat on their haunches in the driver's seat with their paws on the steering wheel. 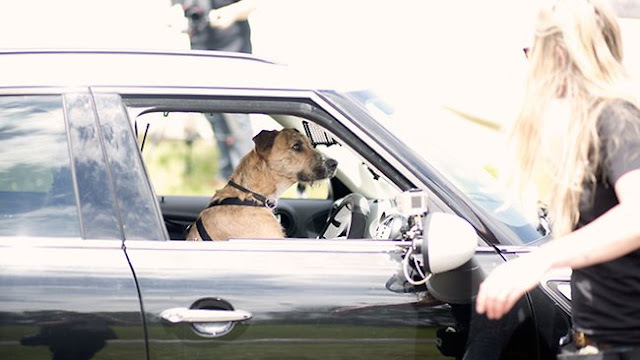 Their feet go on extension levers which are attached to the accelerator and the brake while their paw rests on the gearstick. The experiment was set up by an animal welfare group in New Zealand which wanted to show the public how intelligent dogs are. The Society for the Prevention of Cruelty to Animals will put Porter, a ten-month old beardie cross, Monty, an 18-month-old schnauzer cross, and Ginny, a one-year-old beardie whippet cross to the test in a live broadcast next Monday. Mark Vette, who is schooling the dogs, said: ‘"We train them to do different actions, touch is the first thing and then we teach them to touch the different objects with the right paw and left paw. They've all come through at this point and they're all going really well". All of the dogs involved had been rescued by the SPCA. The organisation hopes the public will be so impressed that they will adopt them and others like them. SPCA Auckland chief executive Christine Kalin said: "I think sometimes people think because they're getting an animal that's been abandoned that somehow it's a second-class animal. "This really shows with the right environment just how much potential all dogs from the SPCA have as family pets."